Hubert-Félix Thiéfaine, HFT to his friends, has managed a long and rich career. 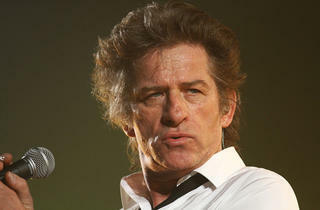 Having started out as a singer on the left bank in the 1970s, he first knew success in 1982 with his bestselling album ‘Soleil Cherche Futur’. 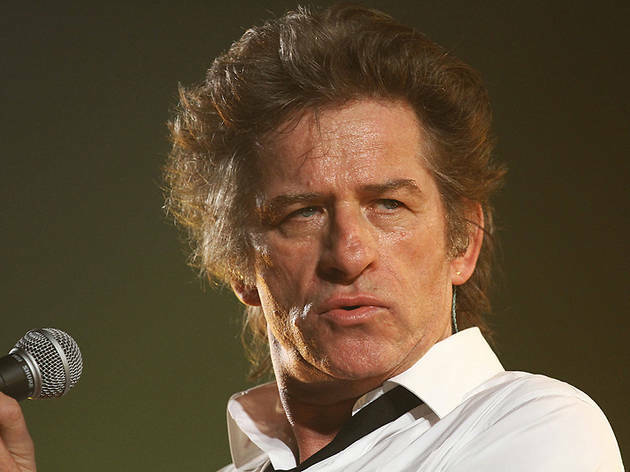 For the rest of the decade, he released both marginal tracks and classics of the chanson française genre: ‘Alligators 427’, ‘Lorelei sebasto cha’, ‘113e cigarette sans dormir’, the fabulous ‘Les Dingues et les paumés’ and his best known track, ‘La Fille du coupeur de joints’. Paradoxically, his refusal to play the publicity game allowed him to enter the 90s and remain popular, where others were quickly forgotten – and in 1998 Thiéfaine sold out the Bercy stadium without a single promotional campaign. Popular with older listeners and younger music fans thanks to his elegant lyrics and irresistible personal charm, he’s a great singer to see live.